LIMERICK City and County Council has confirmed it is to begin work on the Mungret Local Infrastructure Housing Activation Fund. This phase is to allow access to the Homely Developments plans to build 200 houses adjacent to Quinn’s Roundabout near Mungret. Part of those works will need to be on the R510 which is a main road access to Raheen Business Park, South Court Hotel, Courtfields Shopping Centre, Mungret St Nessans Primary and the Dock Road. Despite this, local councillor and metropolitan mayor Daniel Butler predicts traffic chaos. “I have been liasing with the council on these planned works, while they are necessary, I had tried to work with the council to see them begun in July outside of the school term and peak traffic period to be finished by September. 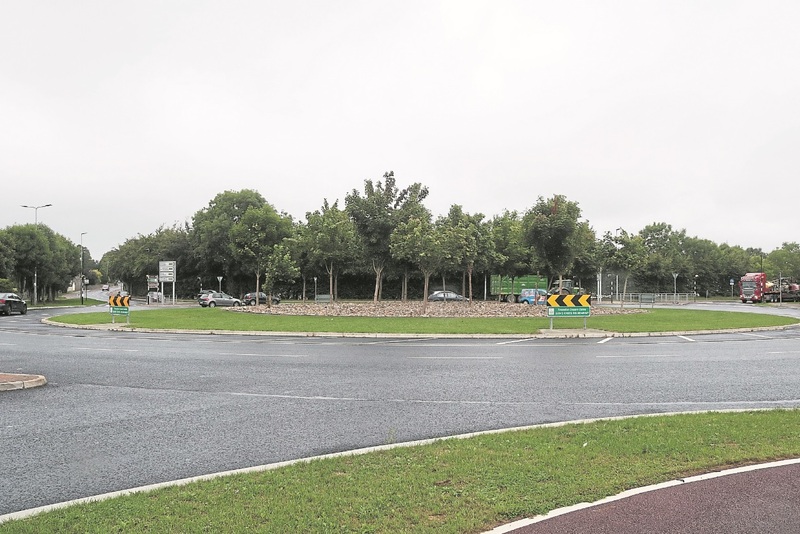 We now see delays pushing us into that season and after our experiences with the Quinn’s Roundabout works we locally are extremely concerned and frustrated,” he said. The contractor kicked off road widening, footpath replacement and the creation of a new junction last Wednesday. The overall length of the works is expected to stretch over six months, two of these on the main R510 road. “These works are to put a controlled traffic light junction in a stretch of road with a serious of pedestrian crossings already. This is absolute madness,” the mayor said.